I just finished sorting things out with AKParts.com and they've FINALLY sent the package. I take back everything bad I said about them. Meanwhile, I ordered an AMD-65 parts kit for 170 dollars at Centerfire systems and by next week I'll have enough parts to build two "frankenstein" AKs. 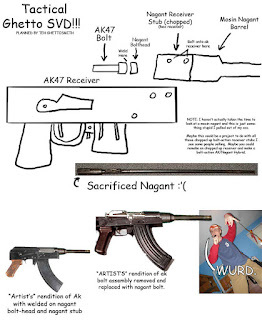 Until then I shall amuse you with this half-assed plan for a cheap SVD bubba alternative. The idea came to me as I saw that several online retailers were selling various types of barrels with cut off receiver stubs still attached. 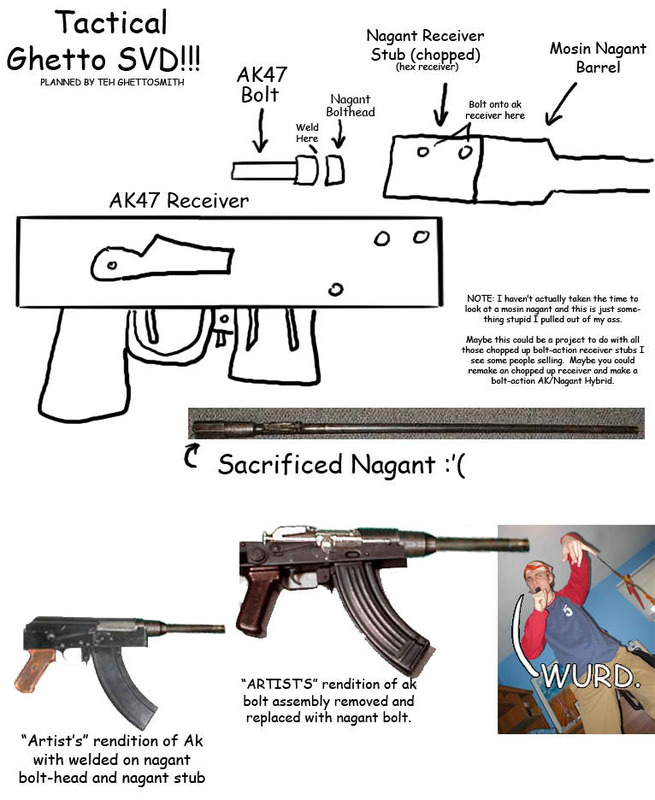 Particularly, they were mostly Nagants, Steyr M95, and SKS. I figured, these barrels still have the locking mechanisms intact, why couldn't they be utilized somehow? NOTE: Try not to laugh at my pathetic photoshopping skills. I only spent five minutes on this.